Many of the most shocking incidents are against women, children, the elderly, the handicapped or the mentally ill. In addition to excessive violence, police are also abusing their powers and illegally stealing money and property from everyday people, while admittedly using traffic and drug laws as revenue generating schemes for government coffers. 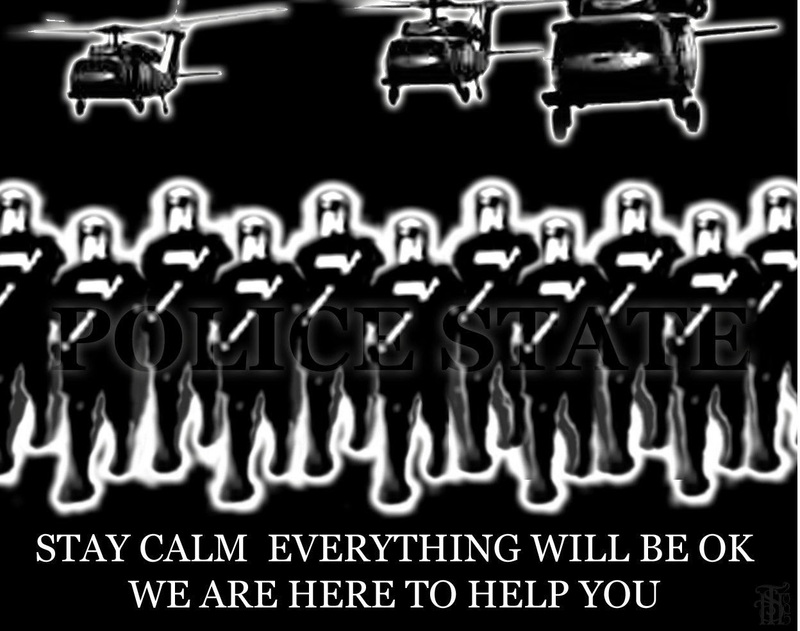 Most shockingly, though, the police are up-arming themselves with military weapons and equipment, seemingly preparing themselves for something apocalyptic, and are increasingly assuming confrontational and threatening postures when dealing with the public. In the bigger picture, there is a cultural shift underway in America from a free and prosperous nation to a repressed, surveilled and tightly regulated shell of its former self. This has been underway for generations, but has vastly accelerated since 9/11, which has given the government a perceptualcarte blanche check to create, rewrite and bypass any laws it wishes to, including the evisceration of the Constitution and the Magna Carta. We now have a thriving culture of public paranoia, suspicion, over-reaction, acquiescence and zero-tolerance. Much of this is the natural result of the collapse of moral leadership at the highest levels of a government that now condones torture and has for decades engaged in ongoing war, geopolitical manipulations, interventions and foreign occupations. The breakdown of law and order at the top is being mirrored in every level of society. If a case of obvious brutality does make it to court, there are already alarming precedents that give the police extreme forgiveness in their use of physical compliance techniques. An example being the recent trial and acquittal of the Fullerton, CA police officers who savagely beat and murdered a homeless and mentally ill man, Kelly Thomas, which was caught on video by security cameras. The horrifying incident is available for anyone to watch, but a jury felt that the officers had a right to use this level of force while taking him into custody, setting an ugly precedent for future encounters like this. Knowing your rights and how to conduct yourself in any encounter with police or government agents is an essential civic responsibility; yet, sadly, too many people don’t know or understand their rights. This may be changing for the better, however, as videos are also emerging of citizens effectively exercising their rights in situations with law enforcement. Knowing your rights works wonders when dealing with police, and it does appear that more people are finding the courage for non-compliance. These nine basic principles are often referred to as “The Peelian Principles.” Upon close examination of each of the Peelian principles, not only are direct connections to policing in today’s world apparent, but often the nine principles are cited as the basic foundation for current law enforcement organizations and community policing throughout the world. Many law enforcement agencies currently quote the Peelian Principles on their community websites as their own principles. Isaac Davis is an outspoken advocate of liberty and an honest society from the top down. He is a contributing writer for WakingTimes.com, where this first appeared.